For the first time ever, the El Camino Real Derby, Golden Gate Fields' premier race for 3-year-olds and to be run on Feb. 16, will provide the winner with an automatic, all expenses paid berth in the middle jewel of racing's Triple Crown, the Grade I, $1.5 million Preakness Stakes on May 18 at Pimlico Race Course near Baltimore, Md. (In order to qualify for this paid berth, the El Camino Real Derby winner must be Triple Crown nominated). “We are ecstatic to offer this intriguing incentive to run in the El Camino Real Derby to our horsemen, owners, breeders and their horses,” said David Duggan, vice president and general manager of Golden Gate Fields. “We have seen horses in the past go on and do big things in Triple Crown races after running here in the El Camino Real Derby and we are hoping to see that trend re-emerge with this new bonus in 2019. 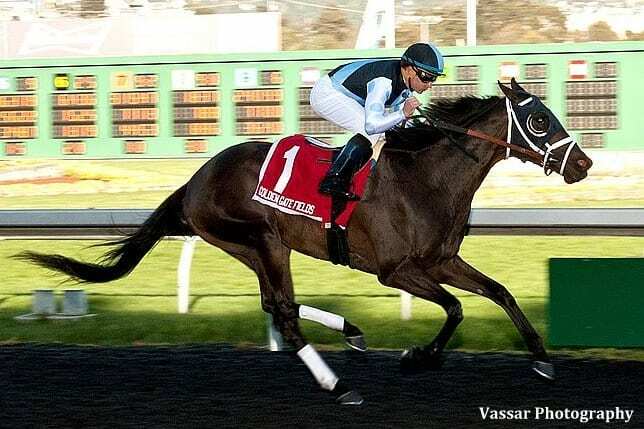 The El Camino Real Derby is one of a dozen stakes races on the calendar for the upcoming 2018-'19 Golden Gate Fields Winter/Spring Meet, which gets under way the day after Christmas, on Wednesday, Dec. 26 and runs through Sunday, June 9. Golden Gate Fields and Pimlico Racecourse are both owned by The Stronach Group, North America's largest owner of racetracks which also include Gulfstream Park, Santa Anita and Laurel Park. For additional information regarding opening day Dec. 26 at Golden Gate Fields, please visit goldengatefields.com, or call (510) 559-7300. This entry was posted in NL List, The Biz and tagged Charismatic, david duggan, El Camino Real Derby, golden gate fields, pimlico, Preakness Stakes, tabasco cat, The Stronach Group by Matt Dinerman/Golden Gate Fields. Bookmark the permalink.